Prepare for and conclude each meditation with some music, or in any way that quietens and focuses you. 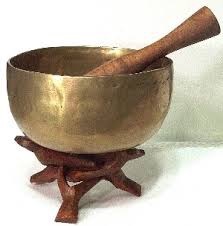 Meditation can of course be integrated into other forms of prayer such as the Eucharist or scripture. It can also be helpful to do some simple stretching exercises before you begin your time of meditation. Sit down. The body is relaxed but not in a position for sleep. Sit still. The body expresses the person’s attitude of attention and reverence. Keep your back straight. The body is alert and wakeful. Be relaxed but alert. It is the formula for peace. Gently close your eyes and begin to recite your mantra silently, interiorly. We recommend maranatha. Say it as four equally stressed syllables: ma-ra-na-tha. Listen to it as you say it or sound it in your heart. Say the mantra continuously. If other thoughts and images arise, simply and gently return to saying the mantra. Maranatha is an Aramaic word (which is the language that Jesus spoke) and it means, “Come, Lord”. It is found in the Scriptures and is one of the earliest prayers in the Christian tradition. Do not think about the meaning of the word. Just give your attention to the sound of it throughout the time of your meditation, from the beginning to the end. When you first sit to meditate, take a while to find a posture you can be comfortable and steady in. Relax the obvious tensions of your body–in your shoulders, neck, eyes, and forehead. The basic sitting postures to try out are: on a chair, on a prayer stool, or sitting cross-legged on the floor with a cushion beneath for support. Breathe normally, calmly. You may find that you are saying the mantra in rhythm with your breathing. For example, you could say the word as you breathe in, and remain silent as you breathe out. Or, you could say mara as you breathe in and natha as you breathe out. On the other hand, you may find that you cannot co-ordinate the recitation with the breath. Let the rhythm develop naturally. Do not be concerned with the rhythm. Just say the mantra faithfully. Whenever distractions arise, simply return to your mantra. Meditate for 20 to 30 minutes each morning and each evening, every day of your life. Father John always said: “Just say your word.” Meditation is a way of pure prayer marked by silence, stillness, and simplicity. Do not try to fight them off whether thoughts, or images, or feelings. Ignore them as you would background music. Give all your attention to saying the mantra, gently and faithfully returning to it all the time of the meditation. Do not be discouraged. Be humble, patient, faithful, and keep your sense of humour. However, do not underestimate the perseverance you will need or the grace you will be given. The mantra is like a path through a thick jungle. However narrow the path may be, follow it faithfully and it will lead you out of the jungle of the mind into the great open space of the heart. Whenever you find you have wandered off the path, simply return to it at once. Failure and success are not relevant terms to describe your experience of meditation. They are ego terms, and in meditation we are learning to “leave self behind”. Meditation is SIMPLE, but not easy. Meditation is a DISCIPLINE, not a technique. Meditation is a SPIRITUAL PATH, not a material pursuit.